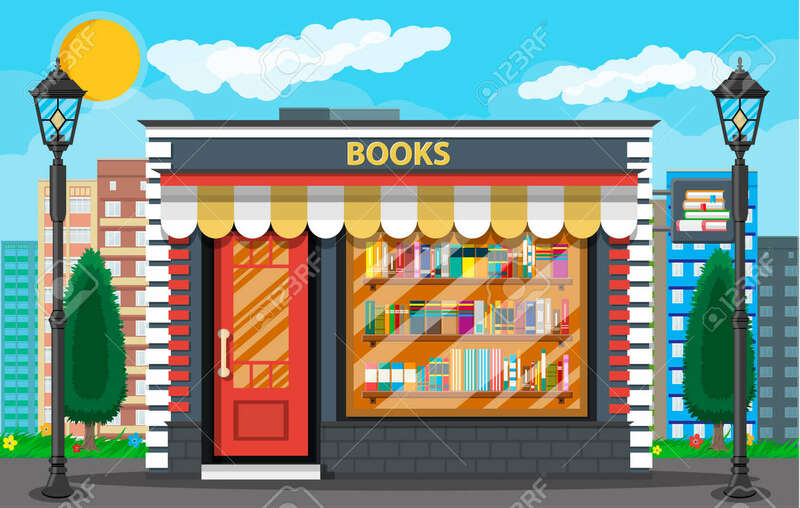 Book Shop Or Store Building Exterior. Library Book Shelf. Bookcase.. Royalty Free Cliparts, Vectors, And Stock Illustration. Image 81812802.